Error 1601: "Windows Installer is not accessible"
Try the following solutions, in the order listed, until the error goes away. Restart your computer, and then try installing or updating again. On the Windows taskbar, click Start, then choose Control Panel. Double-click Administrative Tools, and then Services. Locate and open the Windows Installer service. 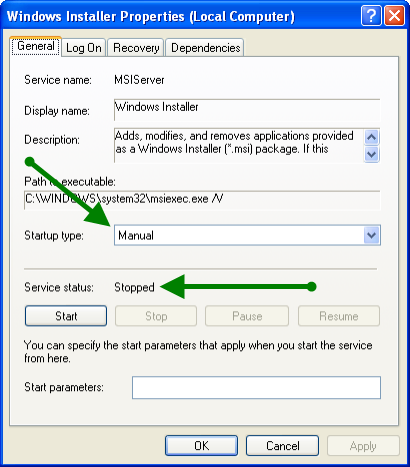 Verify that the startup type is manual and the service status is stopped. Then try installing or updating. Download the Windows Installer, and then try installing/updating again. Finally, if the error persists despite following the solutions above, follow the steps at the Microsoft site.